Dreams do come true and you will totally agree when you enter this custom built home with 2 story foyer and sweeping circular staircase flanked by formal living room and dining room. 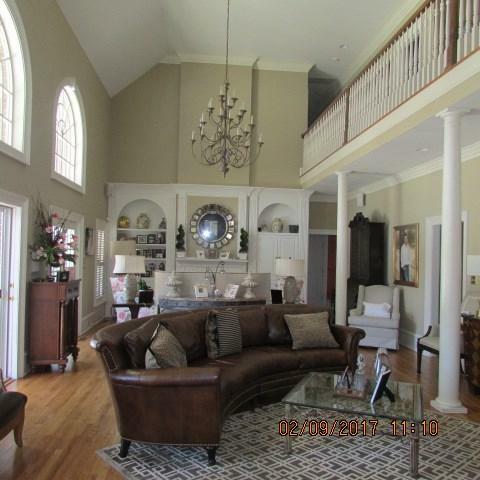 The dramatic 2 story great room surrounded by 2nd story balcony with sitting room and a special space for Baby Grand piano overlooking the great room. 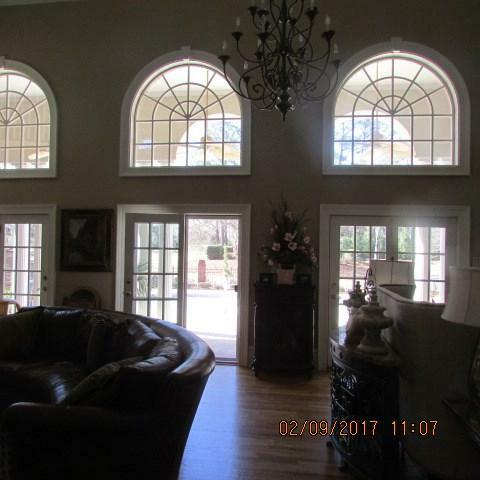 The great room has custom bookcases gleaming hardwood floors and extensive moldings opening to a covered porch, patio and gunite pool. Moving on to the open airy and beautifully designed white kitchen with architecturally unique beamed ceiling and granite countertops that opens to the porch and pool. This home was built for entertaining and has a beautiful Oak Bar with abundant storage and is located adjacent to the family room has the atmosphere for many good times and great conversations. The master bedroom suite is located on the main level and there are 3 bedrooms upstairs plus a large study that can be the 5th bedroom. 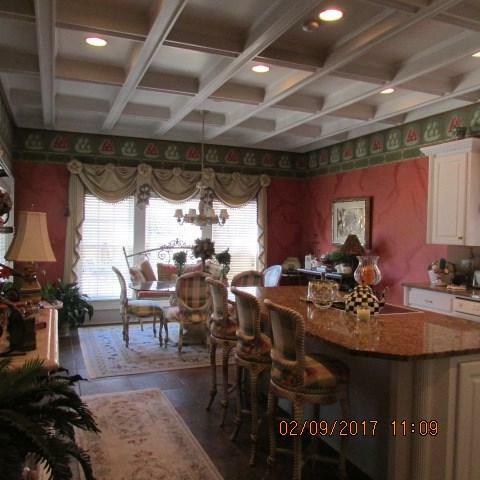 There are easy care hardwood and tile floors throughout this home and special details in each room with deep moldings, custom closets and many features that have not been mentioned. Over the garage is a separate mother in law or guest suite with kitchen and private bath. 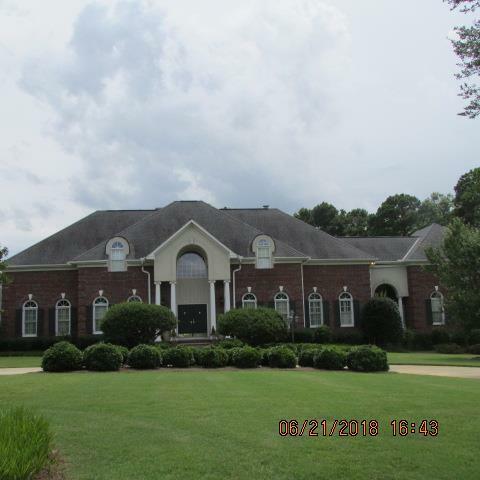 This home truly has something for everyone whether it be inside or outside around the 20x40 gunite pool with plenty of patio area and is surrounded by Brick columns and Aluminum fencing. Located on the fairway of #13 Greenwood Country Club golf course and 1.5 acres of property.